A closer look at the best deals available at Walmart during Cyber Monday 2018. With Black Friday having come and gone, shoppers are now searching for the best Cyber Monday deals at locations like Walmart. This year, Walmart has plenty of Cyber Monday deals to choose from on a variety of items ranging from Xbox One consoles to accessories like the Oculus Go. Wondering what some of the best gaming deals available are at Walmart? We’ve got you covered! Below, we’ve put together a list featuring the best Cyber Monday 2018 deals at Walmart! Below, you'll find a list of the best gaming deals available on Cyber Monday 2018 at Walmart. The list above is only a small glimpse at the Cyber Monday deals available right now at Walmart. For a full look at the Cyber Monday offerings, be sure to visit the Cyber Monday page on the Walmart website. In the meantime, what do you think of the gaming deals on offer? Are you planning to pick up any discounted video games, or do you have your eye on a new console? Let us know down in the comments below! 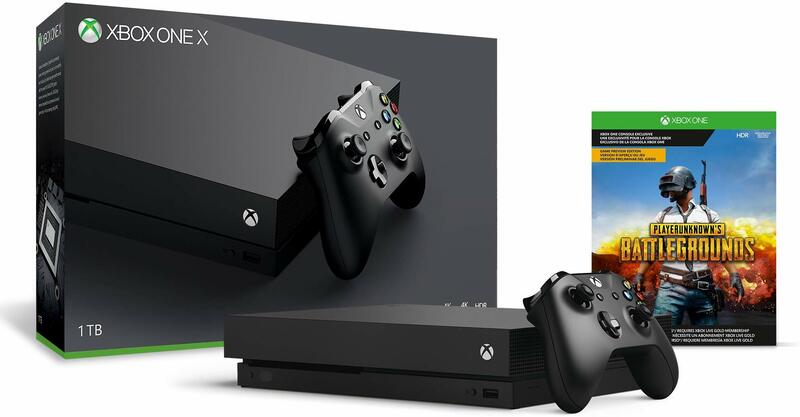 Some of the best deals include Xbox One X and Xbox One S bundles at Walmart during Cyber Monday 2018. By reading through this guide, you should now know the best Cyber Monday 2018 deals at Walmart.